After revealing his true identity to the DEO and taking part in their interrogation, Supergirl's J’onn J’onzz was almost sent to Project Cadmus, a genetic engineering laboratory that dissects alien prisoners for the military. Thanks to Kara and Lucy Lane’s intervention, they rescued J’onn and Alex before they were taken there, but there’s still a lot of mystery surrounding the facility, and fans can expect it to play a big role in Supergirl Season 2. It's going to remain more of an evil, specter-y thing that's out there, but it's definitely something that we're going to pursue. You know, Cadmus has such a rich history in the comics and the animated shows. There's so much there to mine. It'll definitely be part of Season 2. Despite little being known about what’s going on behind Cadmus’ walls, one thing’s been made clear: those folks are not to be trusted. According to James Olsen, they’re the reason that Superman doesn’t work directly with the government, and given how horrific their work sounds, I don’t blame him. Since they are allied with the DEO, technically Cadmus is one of the “good guys,” so if Kara ends up pitted directly against them, she’ll be moving against the government. In the comics, Cadmus is responsible for a lot of weird cloning experiments, including the Kon-El/Connor Kent Superboy. Maybe they’ll also be responsible for creating him in the Supergirl world. 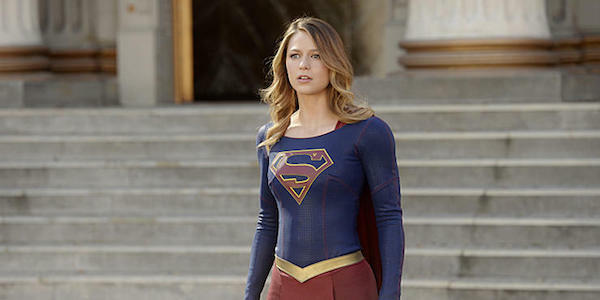 Supergirl wasn’t included among the CBS renewals recently, but Les Moonves, the network’s president, said last month he believes all of the freshman shows will be renewed, so the chances of Supergirl returning for Season 2 are strong. It doesn’t sound like Cadmus will necessarily be Season 2’s main antagonist, but don’t be surprised if some of the new threats come from there, be it an alien escapee or a new weapon that’s created from one of the test subjects. However, it’s not just aliens and weird experiments being kept at Supergirl’s Cadmus. While Colonel James Harper’s memories were being wiped, it was discovered that Cadmus is holding Kara and Alex’s father, Jeremiah Danvers, who is still alive despite seemingly dying 10 years ago while protecting J’onn from the real Hank Henshaw. Now the question is whether J’onn and Alex will be able to rescue him from Cadmus before Season 1 is finished or if that mission will continue into Season 2. New episodes of Supergirl air Mondays at 8 p.m. EST on CBS.